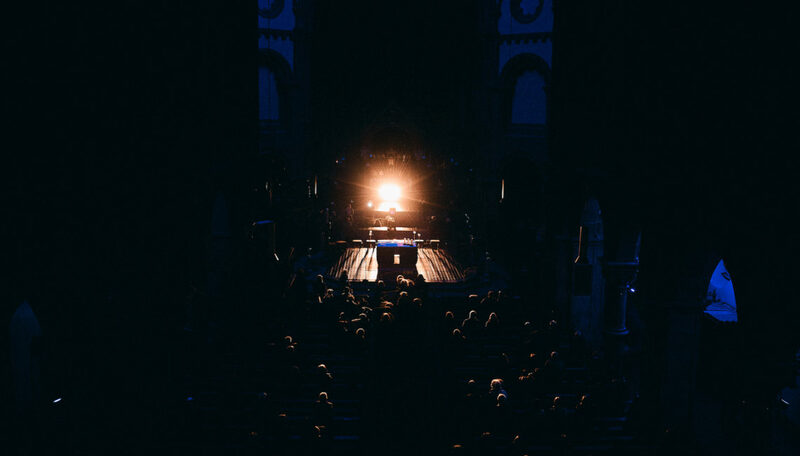 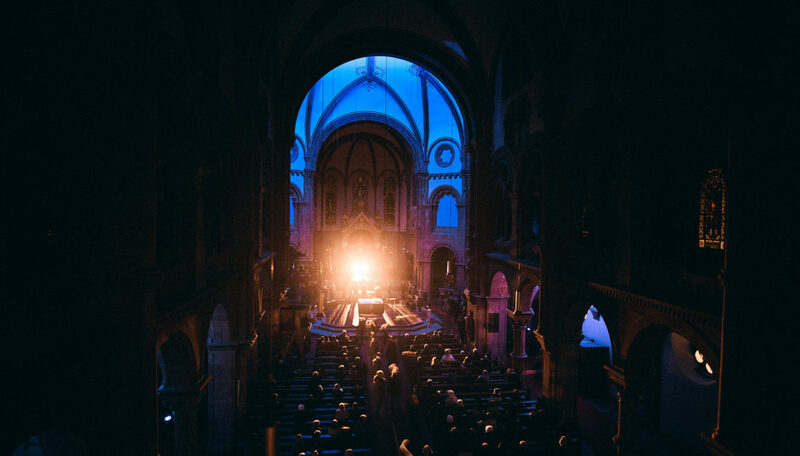 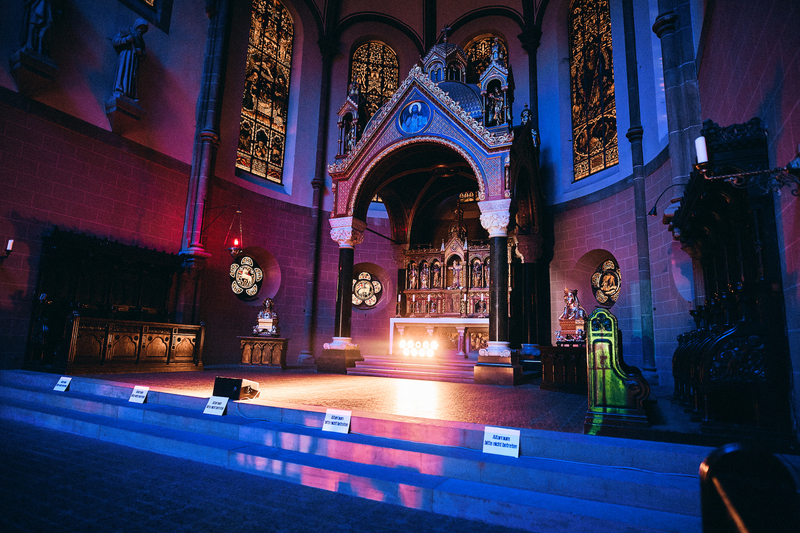 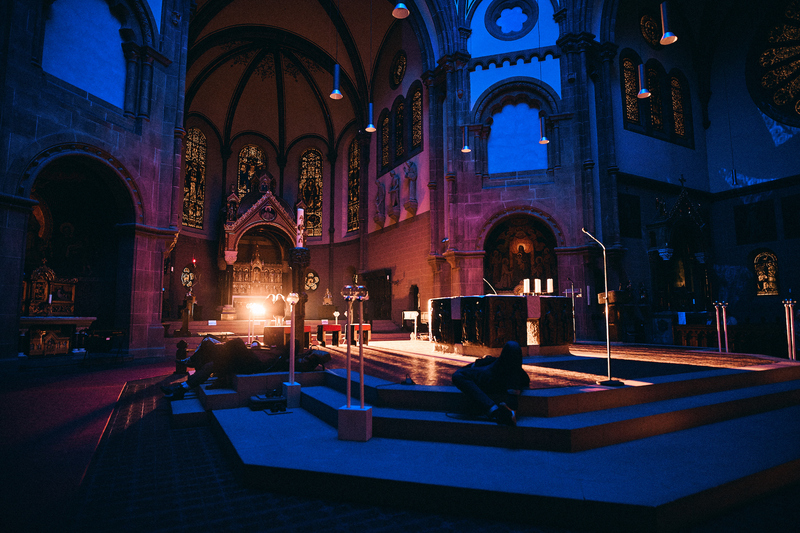 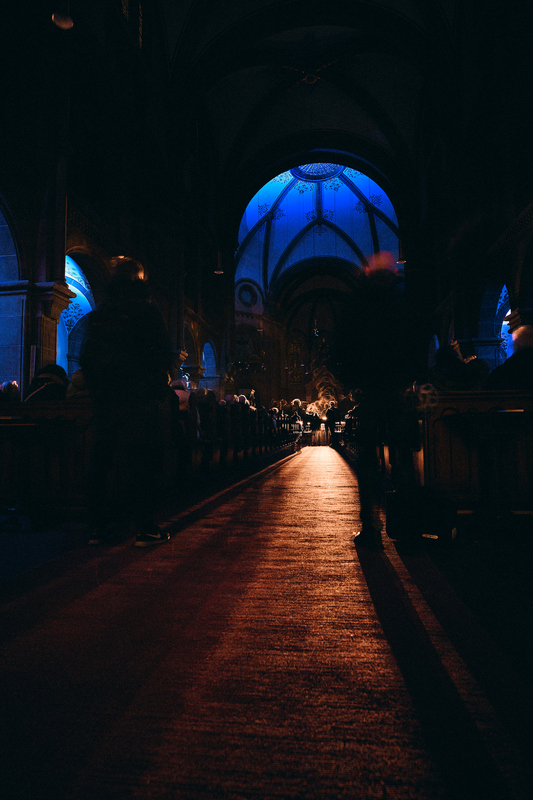 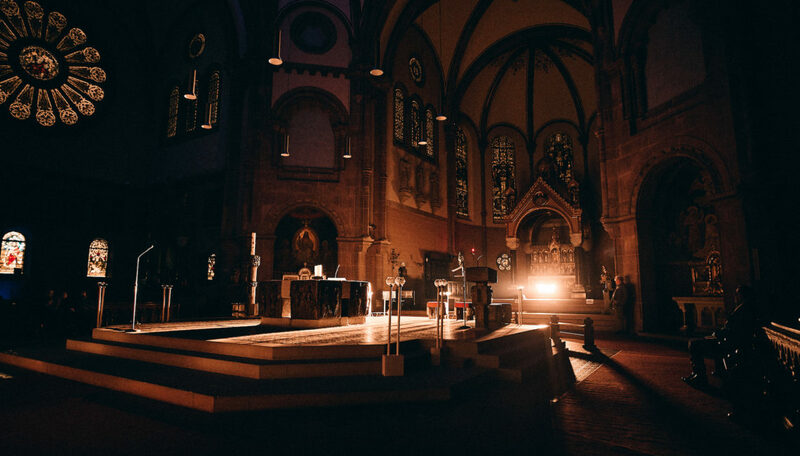 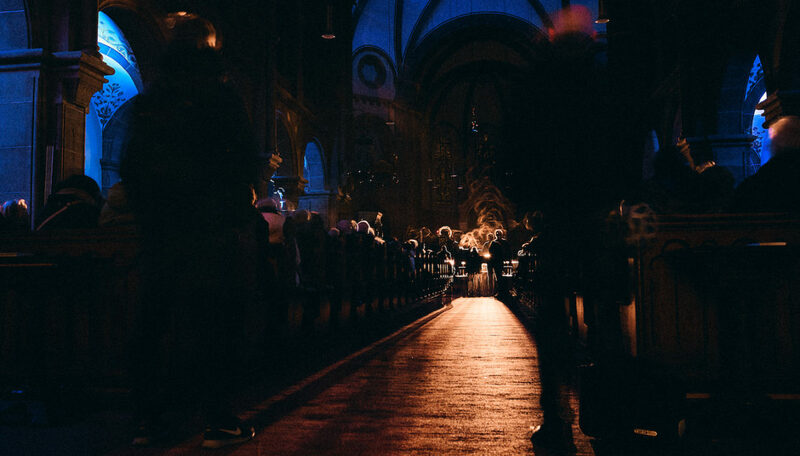 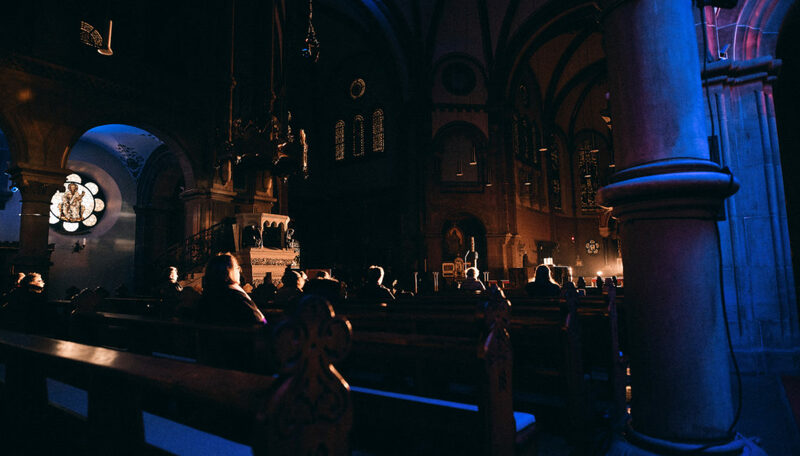 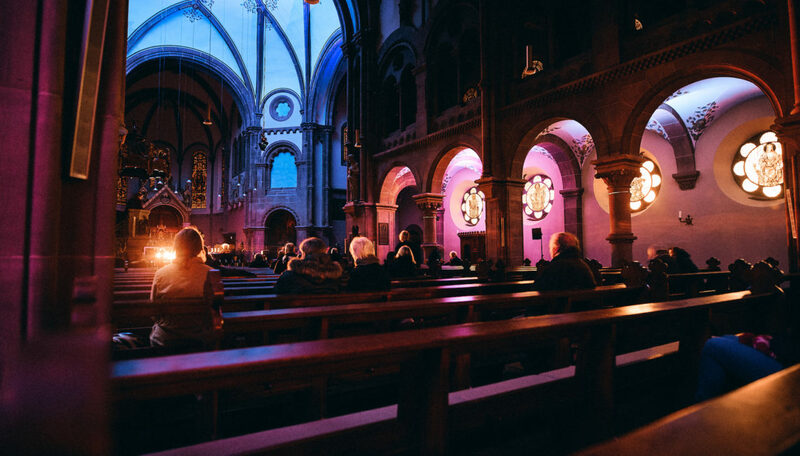 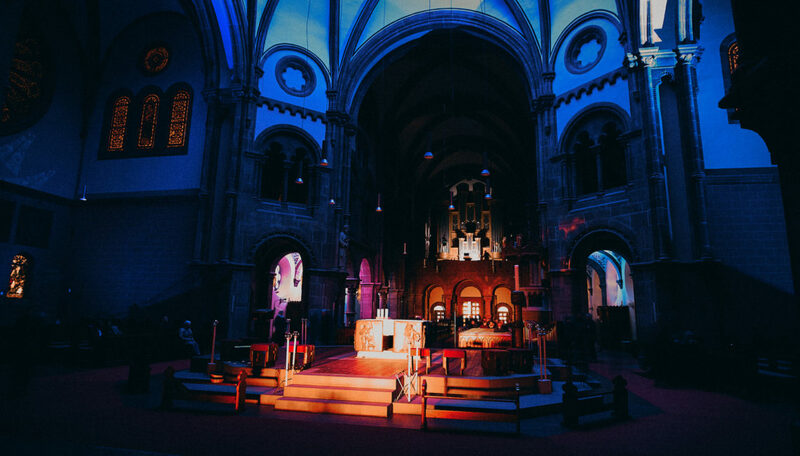 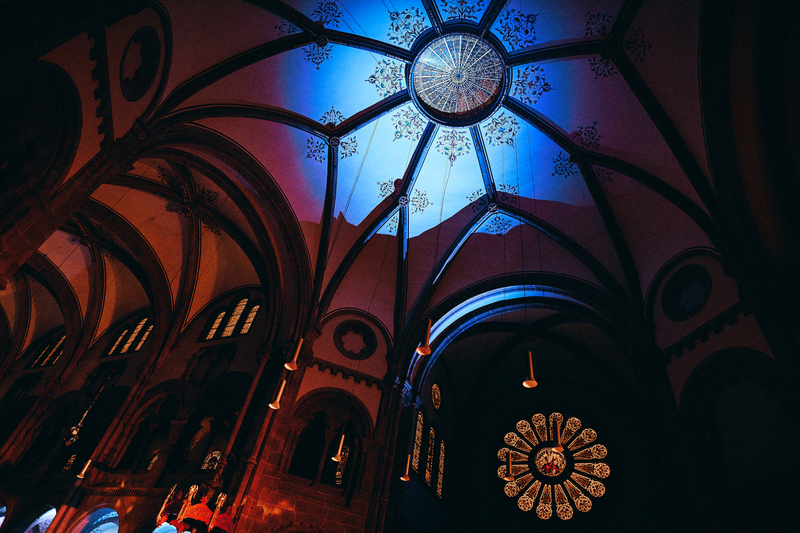 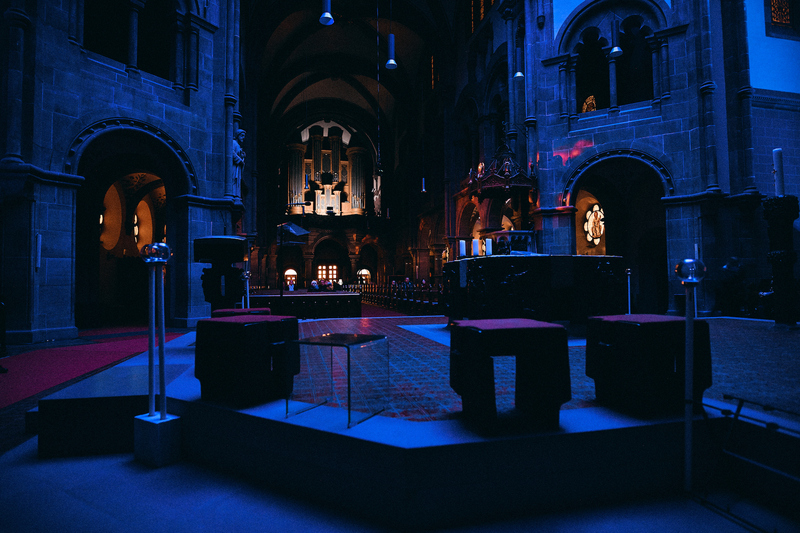 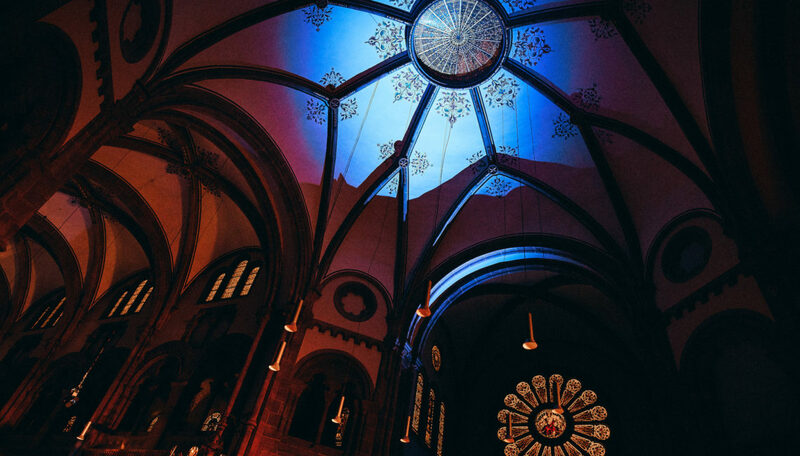 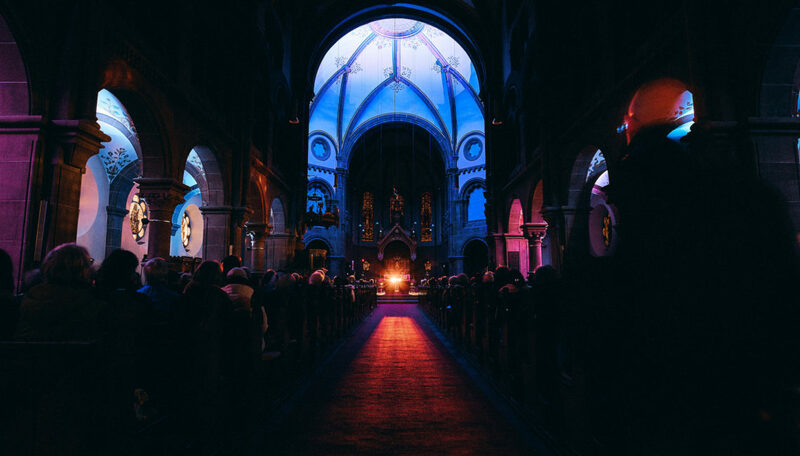 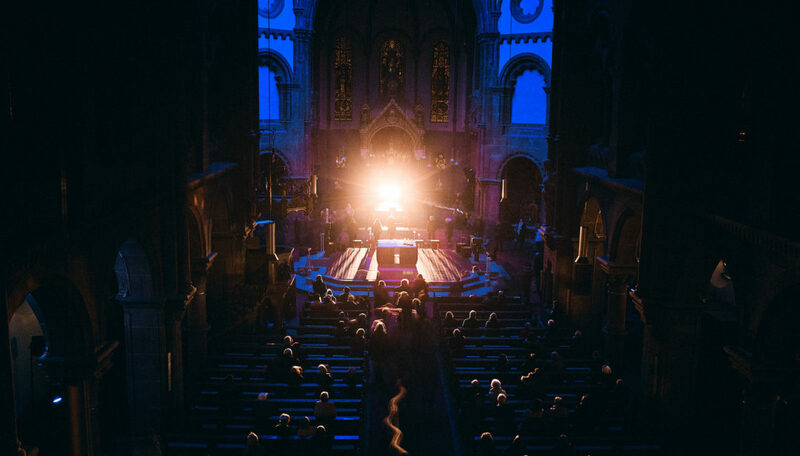 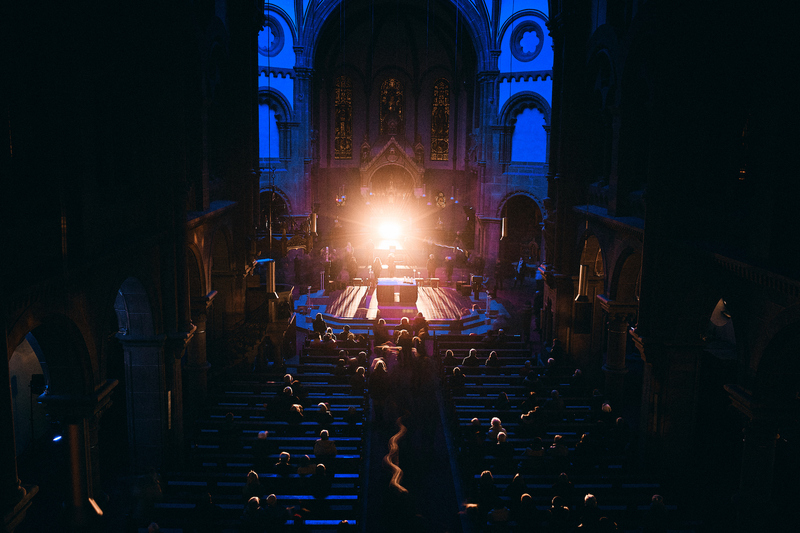 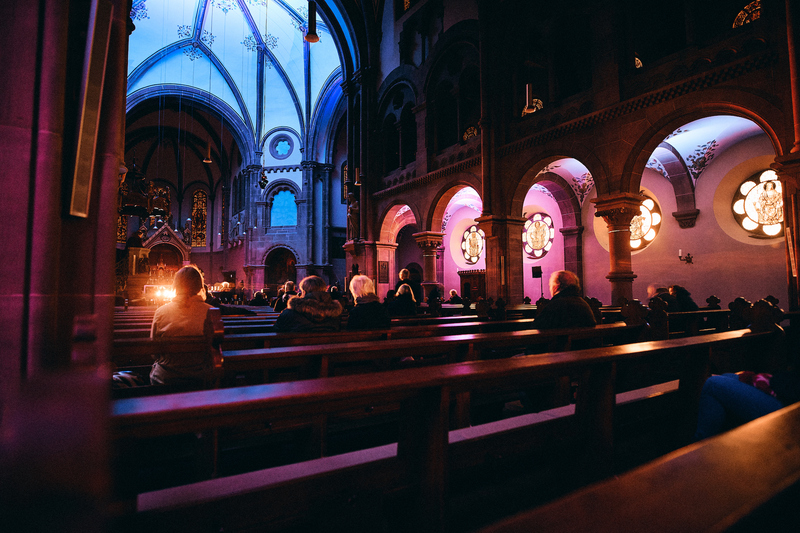 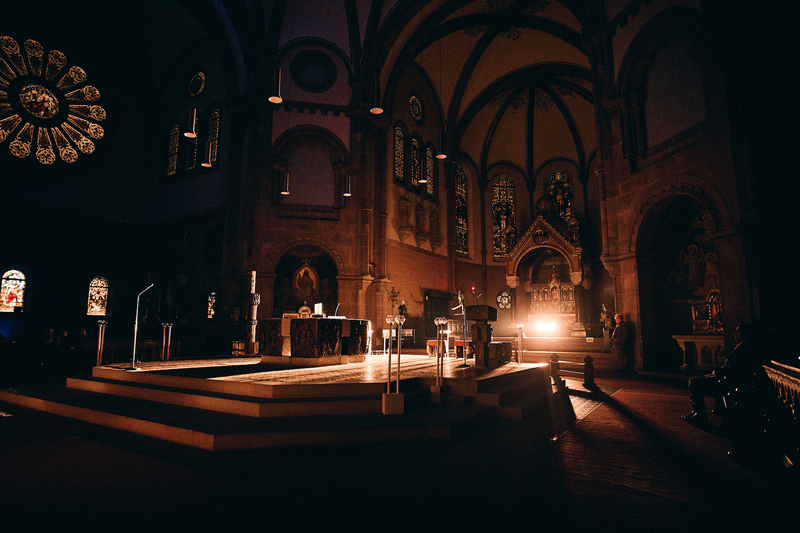 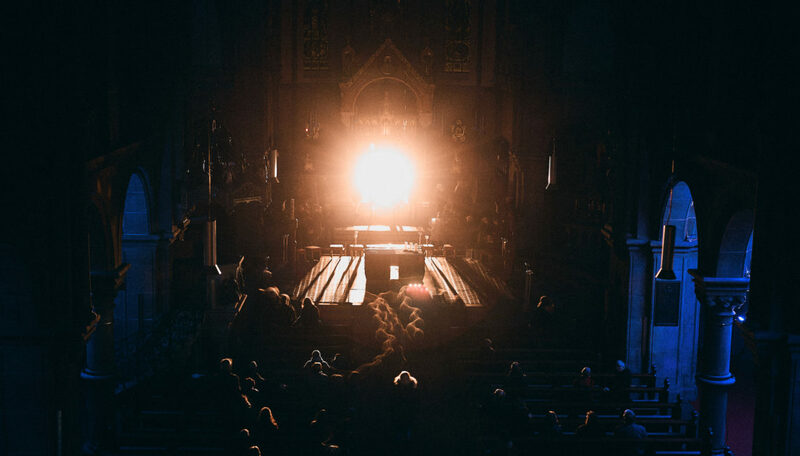 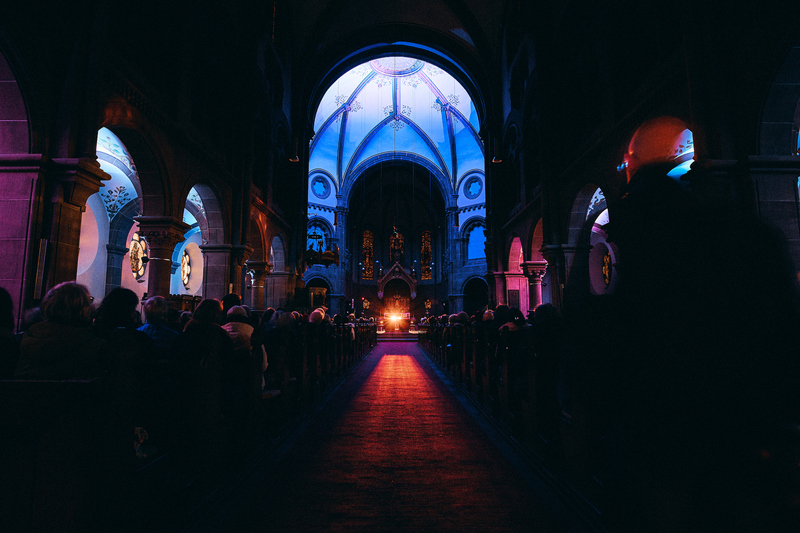 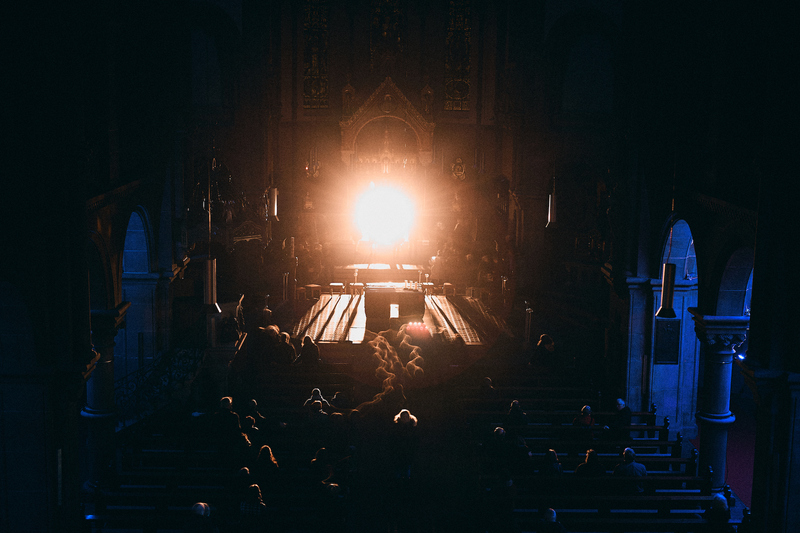 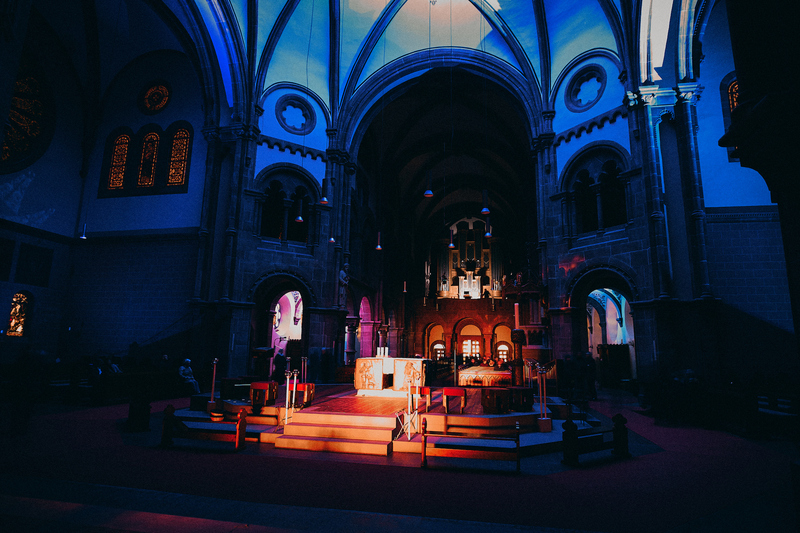 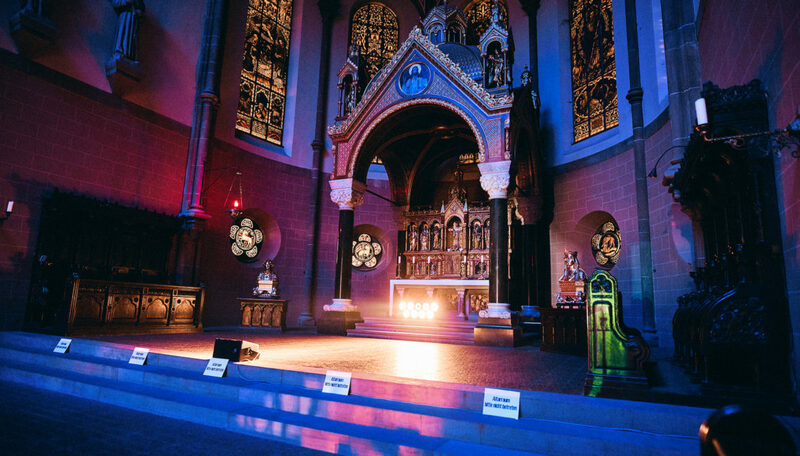 „Klangregung“ is a site specific immersive installation made for the st. John church in Freiburg. 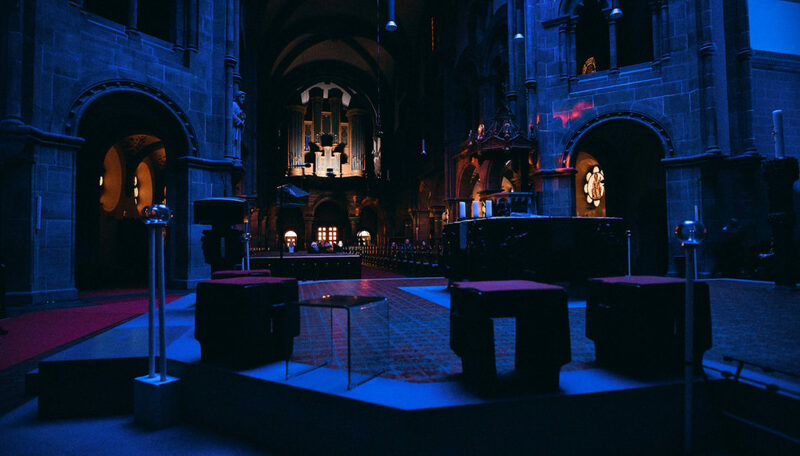 The audio visual composition intensifies the extraordinary attributes of the sacred space and enables the visitor to have a new perception of the room. 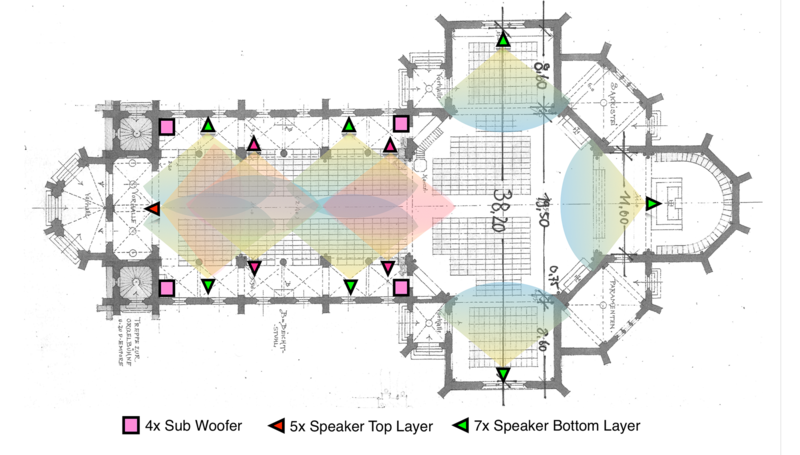 The impressive acoustics are amplified by twelve speakers distributed in the room to create an immersive spacial experience. 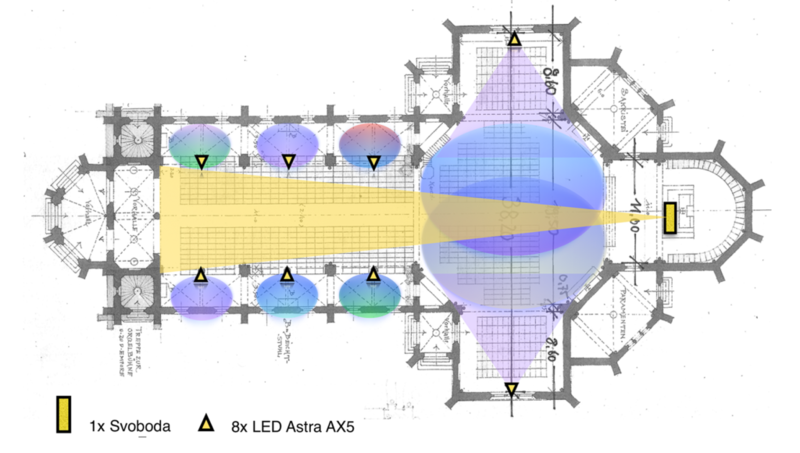 In addition there is a light composition which uses the contrast between glaring light and complete darkness. 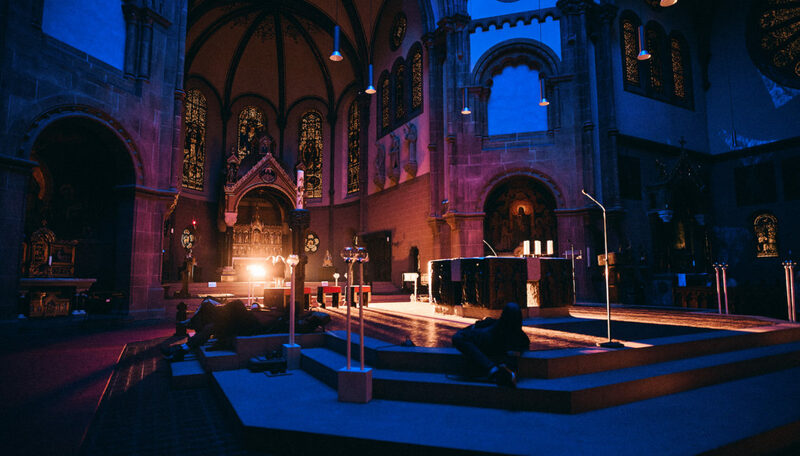 The floating composition plays with the site specific context and enables a contemplative experience.